When it comes to medical aesthetics, Korea is no novice. It has already been years since Korea has established itself as one of the major plastic surgery capitals of the world - the attention and care that Koreans lavish upon their appearances and skin is one major reason that surgeries as well as non-invasive aesthetic procedures are so advanced in this country. Every year, patients from all over the world flock to Korea for procedures that would help enhance their beauty. Now, medical aesthetics is not just a source of interest for patients; we regularly receive inquiries from doctors as well, who are willing to visit Korea to learn the techniques and secrets of our experienced and skilled dermatologists. For many treatments, the equipment/laser/base skin care plays a key role, many of which may not always be so accessible in other countries. However, there are plenty of aesthetic dermatological treatments that can be administered with minimal equipment or materials, yet have a high satisfactory rate and immediately visible results that make it such an attractive procedure for patients who want to look younger and prettier in a short period of time. As a doctor, you can learn these procedures too, via hands-on courses and workshops provided by real and experienced dermatology specialists at Renewme Skin Clinic. The standard treatment for basic skin care Aesthetic in most dermatology clinics is Aquapeel, scaling. cryocell soothing, and basic skin treatment. 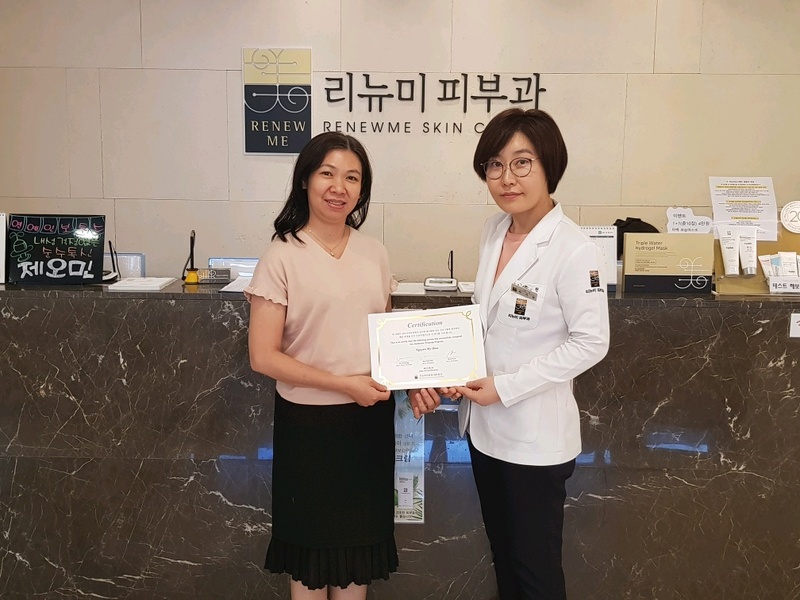 Don't miss the chance to experience to learn at renewme skin clinic! Course fees and schedules are flexible, and are decided based on the level and experience of the doctor interested in training. Visit our training webpage at academy.rnmeskin.net or contact us today for a consultation!